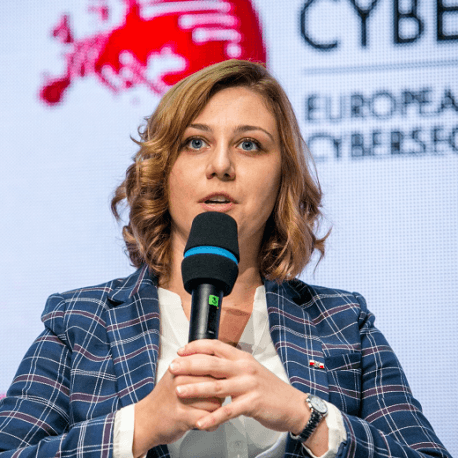 Dr. Joanna Świątkowska is the Programme Director of the European Cybersecurity Forum, the Chief Editor of the European Cybersecurity Journal and Senior Research Fellow of the Kosciuszko Institute. Lecturer at the Pedagogical University of Kraków. Member of the research team at Center for Cybersecurity and International Relations Studies, University of Florence. From 2016 to 2017 she was a member of the Advisory Group for Cybersecurity of the Republic of Poland working within the Polish Presidential National Bureau of Security. She has been involved in numerous high profiled national and international cybersecurity initiatives, often cooperating with public institutions. Among the others in 2014 she took part in the two rounds of the Sino-European Cyber Dialogue held in Geneva and Beijing. Joanna Świątkowska is the author of numerous articles, reports and analyses concerning cybersecurity. She often speaks at national and international conferences and seminars on a wide range of cybersecurity topics. In 2016 she took part in the U.S. Department of State’s International Visitor Leadership Programme (IVLP) on Cybersecurity and Government Interoperability. Joanna Świątkowska holds a PhD in the field of Political Science.